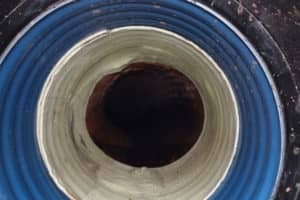 Cured in Place Pipe (CIPP) patch repairs are a cost effective way to repair isolated defects within a length of sewer / drain. The patch is a short sleeve of glass-fibre reinforced matting impregnated with silicate resin. 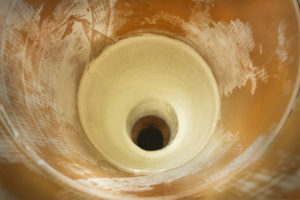 The repair is attached to a packer which is winched through the pipe and inflated over the defect. 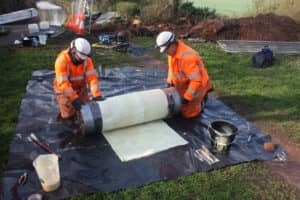 The patch is cured in place and bonds to the existing pipe-work restoring the structural stability of the original pipe. OnSite have used this accepted and approved method of repair with all major UK water and sewerage companies (WASCs). Minimal impact or disruption to public highways.